What thoughts are conjured up when you think of the term "labyrinth?" For some the term connotes some type of maze. While for others, the word implies some off the wall new age thinking. Still others think of a labyrinth in evil terms. The movie Pan's Labyrinth, while I didn't see it, had some disturbing images, for sure. But for me, it's a means, an avenue, if you will to allow my spirit a chance to catch up with my brain. It's a wonderful tool for me to be able to really meditate and focus on calming my soul down to allow God to speak with me. I went to our trusty Wikipedia and found this definition. The term labyrinth is often used interchangeably with maze, but modern scholars of the subject use a stricter definition. For them, a maze is a tour puzzle in the form of a complex branching passage with choices of path and direction; while a single-path (unicursal) labyrinth has only a single Eulerian path to the center. A labyrinth has an unambiguous through-route to the center and back and is not designed to be difficult to navigate. 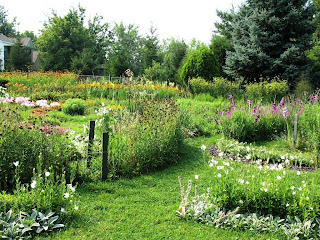 Have you ever walked a labyrinth? I have walked one only once. I've been places a couple of other times where there were labyrinths but we were "in too big of a hurry" to walk them. You can't be in a hurry to walk a labyrinth. When I sit down to try to meditate or pray, I notice there is a piece of fuzz on the carpet that I need to get up or realize that I forgot to get something out of the microwave or need to call someone. But when you start the labyrinth walk, you are starting on a journey with a beginning, a middle and an end for the sole purpose (for me anyway) to be in the presence of the Almighty and hear what he might have to say to me. I love the idea of labyrinth walking. For me, it's nutritious. It feeds my soul. I have no idea why I'm so intrigued with something I've only done once. Yet, it seems like such a viable tool to understand the journey better. I'd love to hear from you. 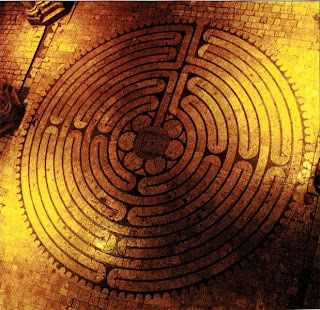 Have you ever walked a labyrinth? Ever thought about it? If you have, what was your experience? 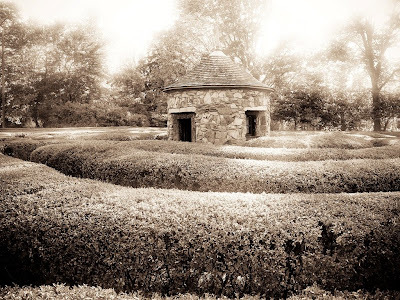 Coffee Group spoke at a retreat site that had a labyrinth a little over a year ago. It wasn't beautiful or elaborate, but I loved it, too. Very peaceful.